Iran's military chief says officials of the Kurdistan Regional Government had been repeatedly warned before the IRGC launched missile strikes against anti-Iran elements in the region, warning Iran will have to repeat the strikes if terrorists continue to stage plots inside Iran. 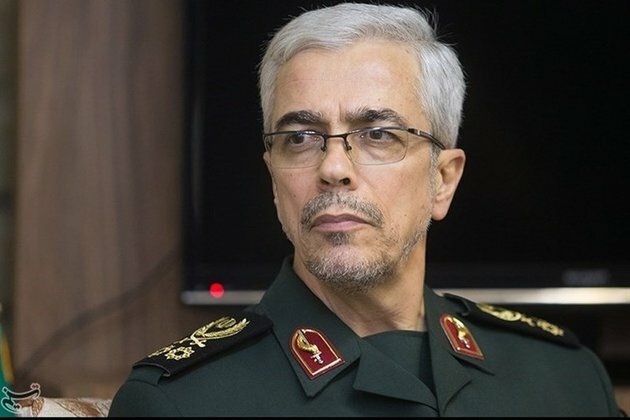 Speaking in the graduation ceremony of police cadets in Tehran on Tuesday, Chief of Staff of the Armed Forces of Iran Major General Mohammad Baqeri described the Saturday attack on terrorists' positions in the Iraqi Kurdistan as a successful display of Iran's missile power and said the Islamic Republic has reached all its objectives in this operation. General Baqeri said KRG officials and members of the terrorist groups had committed not to launch any operations in Iran. But they broke their promise last year, when the US administration provoked them to threaten Iran's security, ISNA reported General Baqeri as saying. In a statement on Sunday, the IRGC said the attack was meant to punish terrorists who in recent years have intensified their anti-Iran operations. The statement said credible reports show dozens of leaders and top members of the terrorist groups have been eliminated in the attack. The attack happened in Koysinjaq, a city about 65 kilometres east of Erbil in the Kurdish region of northern Iraq and some 300 kilometres north of the capital, Baghdad. General Baqeri said the KRG officials made efforts to prevent these anti-Iran operations, but they did not succeed. The general said the Iraqi government and KRG must work to prevent terrorists from creating anti-Iran bases and they should extradite terrorist elements to Iran or expel them from their countries. Otherwise, General Baqeri said, Iran's armed forces won't remain silent and will use their right to defend themselves against the threats. "According to the UN Charter, this is a natural right for any nation and country to defend itself against the enemy. We won't wait until insecurity comes to people's house or our factories or population or [industrial] centres. We posses active armed forces and will deal with the root of plots," he said. "We show patience, send messages and issue warnings. But if the plots continue, we have no option but to stand up [to them]." General Baqeri said it was not accidental that missiles hit the venue of the meeting and he hopes Iran will no longer need to repeat this. "If these incidents continue to happen, what happened to their commanders will be repeated and the Iranian nation reserves the right to defend itself," he said.